What exactly does it mean when your PC gets a BSOD? 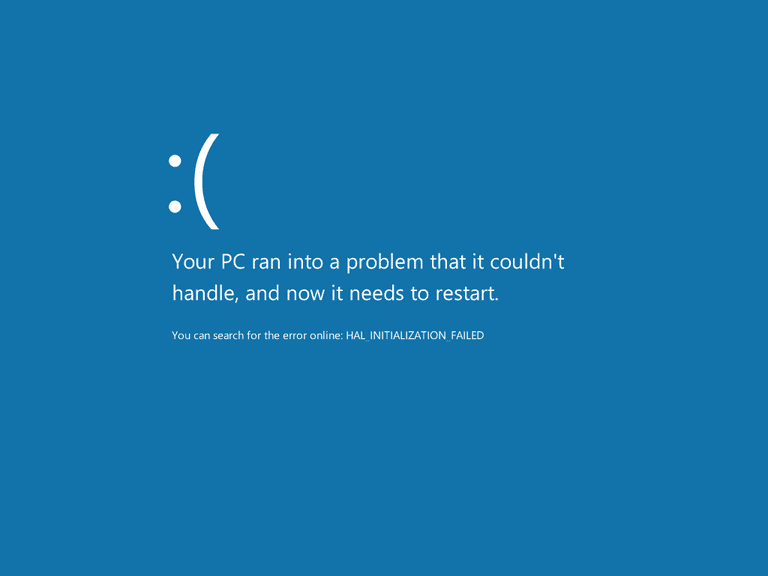 A Blue Screen of Death (BSOD) in Windows 8. Usually abbreviated as BSOD, the Blue Screen of Death is the blue, full-screen error that often displays after a very serious system crash. The Blue Screen of Death is really just the popularized name for what is technically called a stop message or stop error. Aside from its official name, the BSOD is also sometimes called a BSoD (small "o"), Blue Screen of Doom, bug-check screen, system crash, kernel error, or simply blue screen error. The example here on this page is a BSOD as you might see one in Windows 8 or Windows 10. Earlier versions of Windows had a somewhat less friendly appearance. That [confusing] text on the Blue Screen of Death will often list any files involved in the crash including any device drivers that may have been at fault and often a short, usually cryptic, description of what to do about the problem. Most importantly, the BSOD includes a stop code for troubleshooting this specific BSOD. We keep a complete list of blue screen error codes that you can reference for more information on fixing the specific one you're getting. If you can't find the stop code in our list, or aren't able to read the code, see How to Fix a Blue Screen of Death for a good overview of what to do. By default, most Windows installations are programmed to automatically restart after a BSOD, which makes reading the STOP error code nearly impossible. Before you can do any troubleshooting you'll need to prevent this automatic reboot by disabling the automatic restart on system failure option in Windows. If you can access Windows, you might be able to use a dump file reader like BlueScreenView to see any errors that occurred leading up to the BSOD, to learn why your computer crashed. Also see Microsoft's support page on reading memory dump files. A BSOD does not necessarily mean a "dead" computer but it does mean a few things for sure. For one, it means everything has to stop, at least as far as the operating system is concerned. You can't "close" the error and go save your data, or reset your computer the proper way — it's all over, at least for the moment. This is where the proper term stop error comes from. It also means, in almost all cases, that there's a problem serious enough that it'll need corrected before you can expect to use your computer normally. Some BSODs appear during the Windows start-up process, meaning you'll never get past it until you solve the problem. Others happen at various times during your use of your computer and so tend to be easier to solve. BSODs have been around since the very early days of Windows and were much more common back then, only because hardware, software, and Windows itself was more "buggy" so to speak. From Windows 95 through Windows 7, the Blue Screen of Death didn't change much. A dark blue background and silver text. Lots and lots of unhelpful data on the screen is no doubt a big reason the BSOD got such a notorious rap. Beginning in Windows 8, the Blue Screen of Death color went from dark to light blue and, instead of several lines of mostly unhelpful information, there is now a basic explanation of what is happening alongside the suggestion to "search online later" for the listed stop code. Stop errors in other operating systems are not called BSODs but instead kernal panics in macOS and Linux, and bugchecks in OpenVMS.